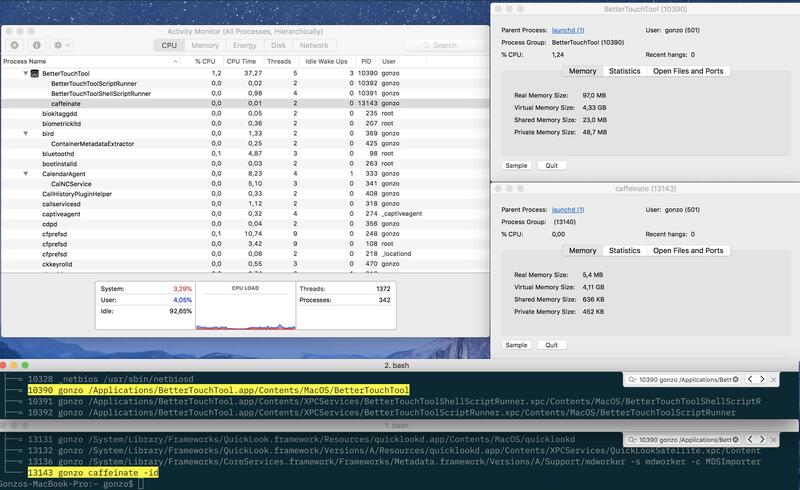 I'm wondering how Activity Monitor relates these two process if the child (Safari Web Content) doesn't have the ppid of the main one (Safari). pstree, which uses the ppid to organize the tree, shows no relation between them. Here's another example, caffeinate was launched from a shell script inside BetterTouchTool using nohup, and again pstree doesn't show any relation. Actually what I need is to send a kill signal to "childs" like Safari Web Content using shell script or C api knowing only the "Safari" pid. And I think this might help. But let's post this info before testing what something like launchctl kill ... does. Not the answer you're looking for? 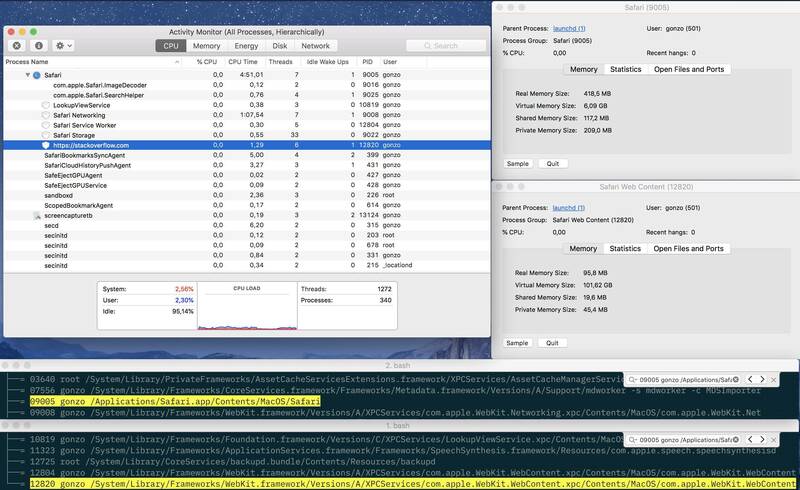 Browse other questions tagged terminal unix activity-monitor macos .